Could Disney have to cancel fireworks shows until Central Florida drought is over? We need rain. Orange County, the county that Walt Disney World is a part of, is currently under a burn ban as a result of months of very little rain. Orange County is actually considered to be in a “severe drought” per the latest U.S. Drought Monitor report. Walt Disney World is not immune to the conditions, and the Reedy Creek Fire Department is paying the price. Near nightly brush fires are being battled by the firefighters according to Tim Stromsnes, president of the Reedy Creek Firefighters Association. They’ve had to deal with about 30 fires in the past two months alone. Nearly 1.5 acres burned in late March. “It’s over and over again. You can see the different spots we’ve had fires,” he said. “My concern is that it’s taxing our guys. Some of our guys are out there 20 out of 24 hours”. Former fireworks staging area at Hollywood Studios. New location is across World Drive. The biggest area of concern is the new launch point for the Star Wars fireworks show that shoots off nightly at Disney’s Hollywood Studios. The area was constructed last year and since the show started in June 2016, the Florida Forest Service has been called in to assist Reedy Creek firefighters three times. According to Stromsnes, Disney didn’t clear enough land around the new launch point and doesn’t have enough sprinklers. Magic Kingdom has sprinklers that soak the woods north of the park nightly before Wishes. Disney has already modified the Hollywood Studios fireworks as a result of the conditions. 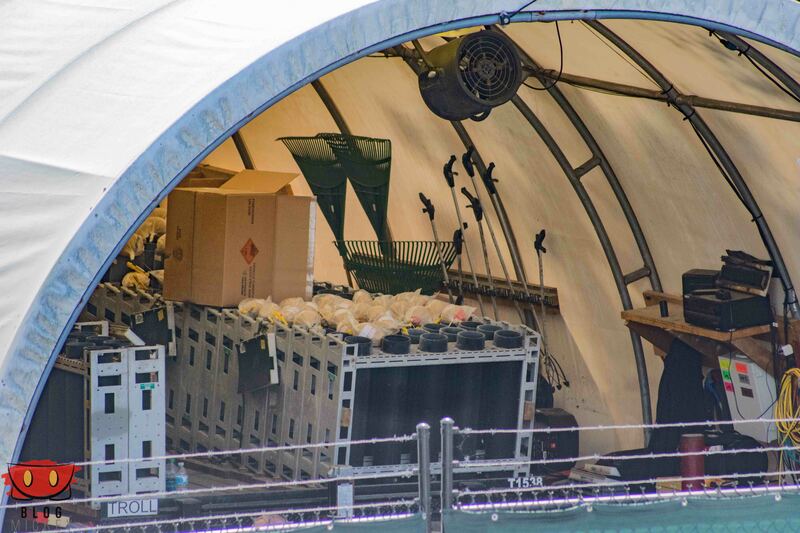 “Periodically, we modify fireworks shows based on weather conditions. 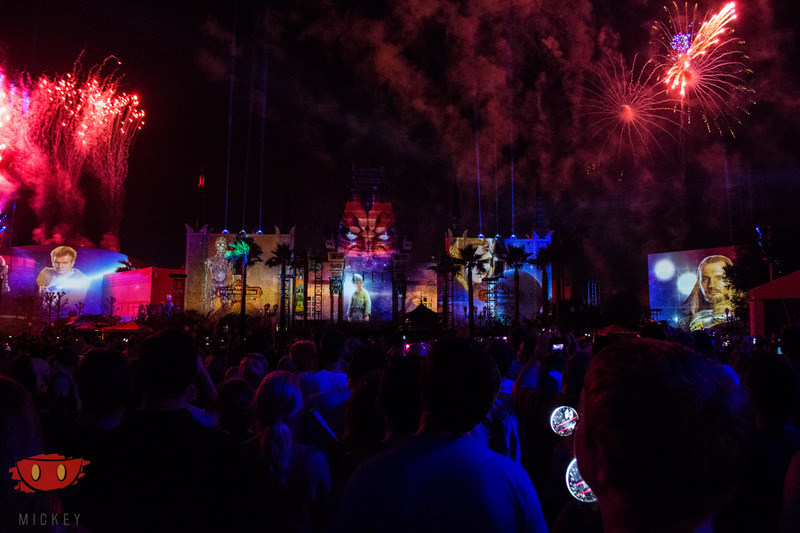 We are not currently using certain types and sizes of fireworks at Hollywood Studios, and as recently as last week, we modified the use of slow-burning fireworks.” said a Disney statement. Disney is only allowed to keep offering their nightly shows due to the fact that their fireworks displays are permitted. Permitted fireworks are exempt under the current burn ban. So could Disney be forced to cancel some of their fireworks shows until conditions improve? It’s happened before. Back in 1998, Central Florida saw the evacuation of 30,000 residents due to devastating brush fires. Disney cancelled it’s fireworks shows. While the conditions were worse back then, we did have a 475-acre brush fire in the beginning of this month that burned less than 15 minutes away from Disney, near International Drive. As of right now, the shows are still scheduled to continue, but we’ll keep you informed should that change.